This is the later of 2 Picks in NBA Wednesday for Scott “The Bulldog” Rickenbach. This one is a Free Pick but the other one is a star rated pick (10* Top) going early Wednesday! Don’t miss any of the action as The Bulldog also has another star rated pick (10* Top) in CBB Wednesday as well as another star rated pick (10* Top) in NHL. Rickenbach is off of a HUGE 4-1 Tuesday with premium picks as he remains RED HOT! In fact, he’s the #1 ALL SPORTS LEADER in 2017 on multiple networks and has current all sports streaks going of 33-12 short-term and 64-29 long-term! Join in on the BIG WINNING with Scott TODAY! The Clippers are not only off of a loss, it was their worst defeat in a very long time. Los Angeles got crushed at Golden State on Saturday by a margin of 44 points! They have had 3 days off since then and you can bet that they’ll be ready to go here. Even though the Clips have a rematch with the Warriors set for LA tomorrow night, there is no way they’re going to look past this game. When professionals lose a game by a 142-98 final, they respond and this is especially true when you’re a team that entered that game with a 30-17 record on the season. The Clippers are use to winning and, even though Chris Paul is out, Los Angeles did recently welcome back Blake Griffin. 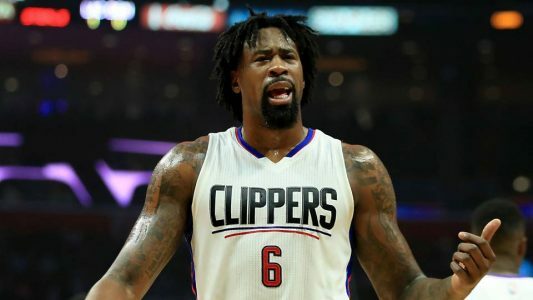 Additionally, big man DeAndre Jordan is likely to own the paint tonight against the Suns Tyson Chandler. The Phoenix big man just got dominated by Memphis center Marc Gasol on Monday and I expect more of the same here. The Suns just are not a very good team. They are 15-33 on the season and only 8-15 at home. As you can see from those records, home court hasn’t been a huge benefit for Phoenix this season and the Clippers come in with a fire burning inside them after having to wait a full three days off before having this chance to atone for Saturday’s extremely ugly loss. In terms of additional support for this play, note that LA is 16-6 ATS the last 3 seasons and 49-20 ATS long-term when they are a road favorite in a range of 3.5 to 6 points. Also, this is a very small number for the Clippers to cover here so any straight-up win is likely to also be an ATS win and the Suns are only 1-7 SU this season and 13-27 SU the past three seasons combined in divisional games. The past two years in February games Phoenix has gone 4-17 and I don’t expect this one to get off to a good start for them either. Lay it! Free Pick on the Los Angeles Clippers minus the short number Wednesday.